Sorry for the crap quality--that's what happened when I enlarged. I like the clock--it's pretty sturdy and easy to read. Some of the other designs were nice as well, but I really liked the pop of color in this one. Sweet! Where’d you pick it up at? Amazon! 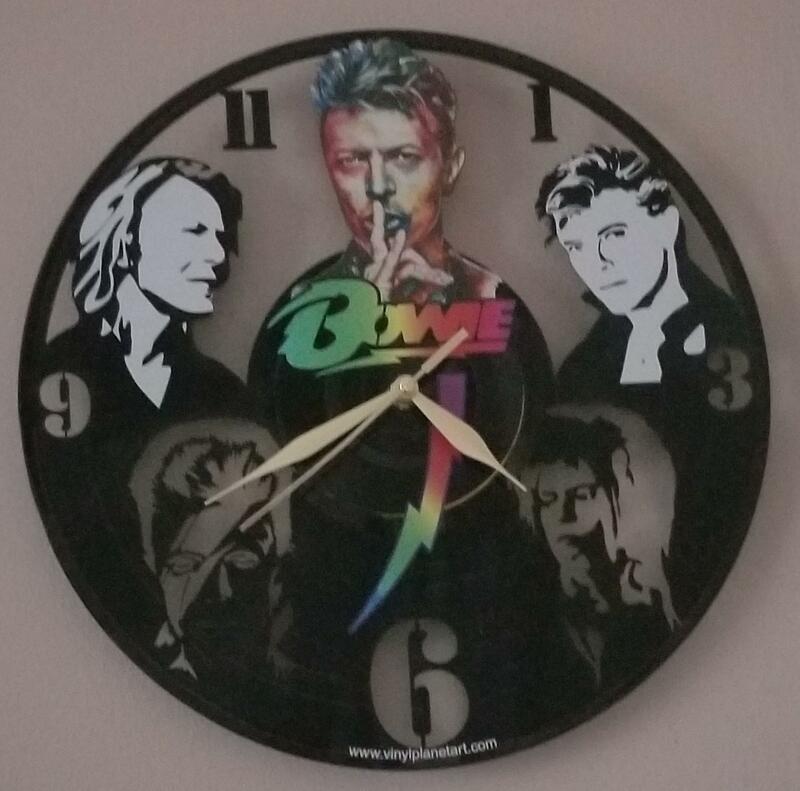 I googled "David Bowie clock" and found a bunch that I liked, but ultimately decided on this one. Wow I love this but that url printed on the bottom is killing me. I bet taking a sharpie to it would help greatly. I know!! I'm probably going to figure out how to paint that out, because it's driving me bonkers as well. It was pretty reasonably priced, and like it said, the quality isn't bad. I can hear the clock motor run, but that's a minor thing.